Mary Isabel Catherine Bernadette O'Brien had a hell of a voice. 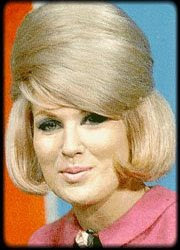 She was a 60s singing sensation, a British bombshell and she went by the name of Dusty Springfield - and I loved her. When Elton John inducted her into the Rock and Roll Hall of Fame in 1999, just 10 days after her death, he said, "I think she is the greatest white singer that there ever has been." I'm inclined to agree. On the flip side, You'll be a woman soon, Neil Diamond? when Mia shoves herion up her nose and almost leaves the scene of the crime.